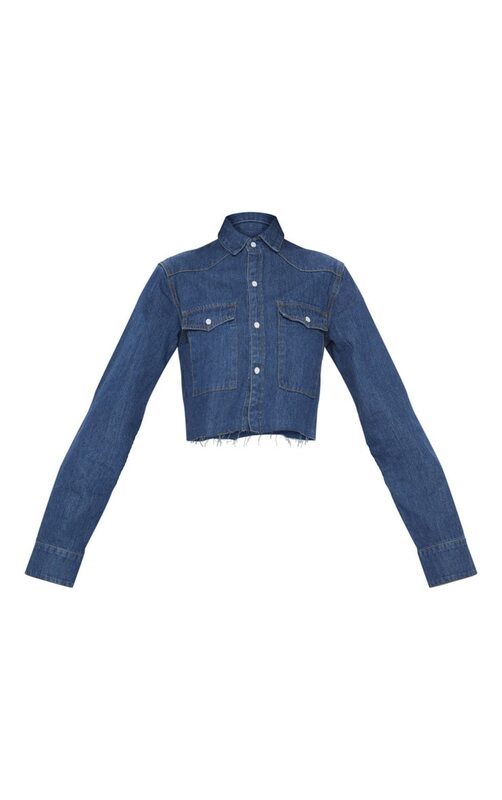 We are obsessing over everything denim and this shirt is perfect for dressing up or down. 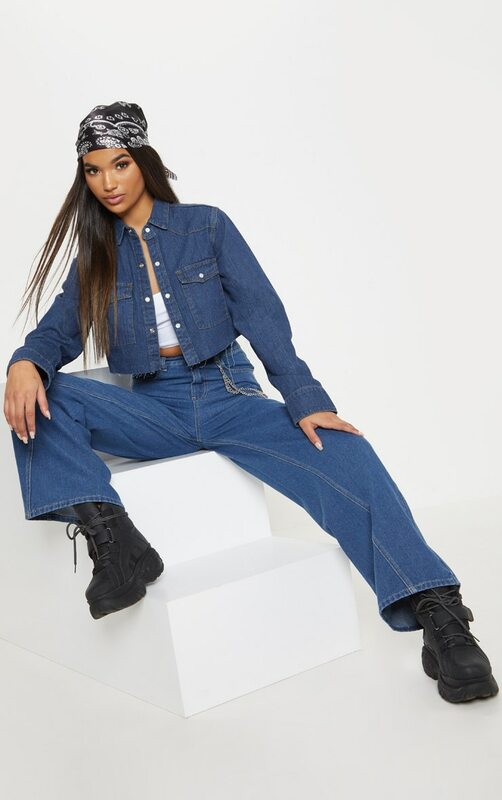 Featuring a dark blue denim material with a button fastening and a cropped length. 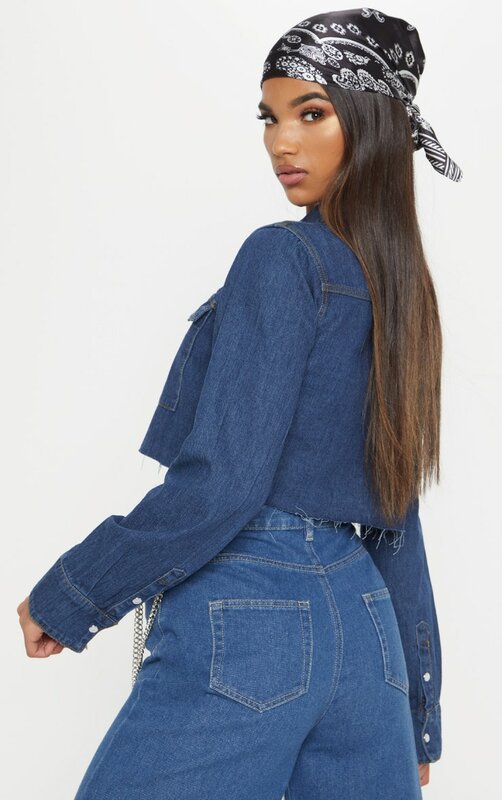 Team this with a pair of jeans and ankle boots to finish the look.